This is just one of the shocking facts about sight loss found in recent studies. But what are some of the other stats you really need to know about? Emma Edwards, Insight Analyst at RNIB, provides information that reflects the extent of sight loss across the UK. More than two million people are living with sight loss that has a significant impact on their daily life. The estimated number of people living with sight loss in Northern Ireland is 51,000. There are over 25,000 visually impaired children aged 16 years and under. In Northern Ireland, 800 children are estimated to be visually impaired. What is the risk of sight loss? How many people in the UK are registered blind? Around 350,000 people are registered blind or partially sighted in the UK. How many people are blind or partially sighted and have a learning disability? How are people from black and minority ethnic communities affected by sight loss? Does sight loss affect a particular age group? Causes of sight loss in the two million? What are the main causes of blindness in children? There are numerous causes of blindness in children, but cerebral visual impairment is the commonest cause of certification for severe sight impairment in England and Wales. 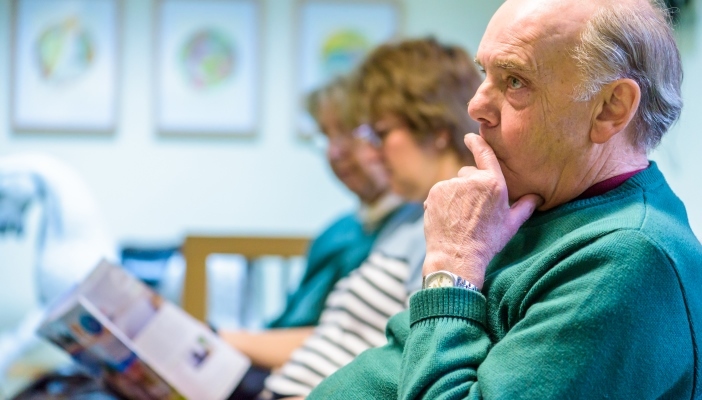 What is the estimated number of people with sight loss by 2050? The projected estimate for the number of people with sight loss in the UK in 2050 is 4,145,000. What is the cost of eye health and sight loss? If you have any questions about any of the stats you have read in this article, please contact Emma and the Insight's team at [email protected]. RNIB is a leading source of information on sight loss and the issues affecting blind and partially sighted people. Read more about the work RNIB is invovled in at Knowledge and Research Hub. D Mitry, et al. (2013). Causes of certifications for severe sight impairment (blind) and sight impairment (partial sight) in children in England and Wales. The British Journal of Ophthalmology, 97(11), 1431-1436.